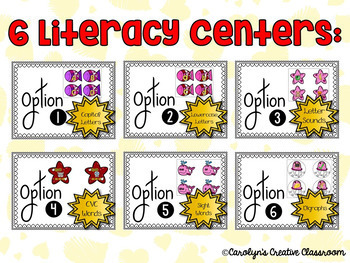 Need a fun, hands-on, center to review ELA skills? 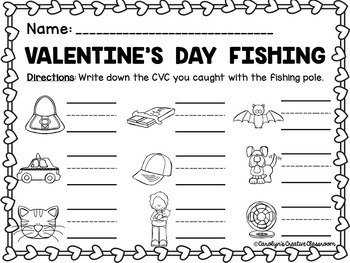 Need something fun for February Centers? Need something to meet standards, but have your students engaged in hands-on game? This is Common Core aligned! 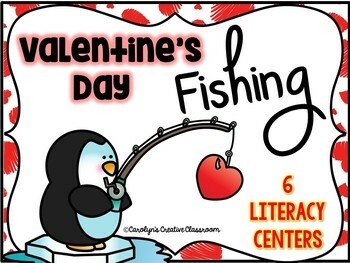 Students will go fishing for fish/whales/starfish/jelly fish using fishing poles. The fish have different skills on them. You can put all the fish in the container and use it for an ultimate review or you could differentiate for all of your learners. 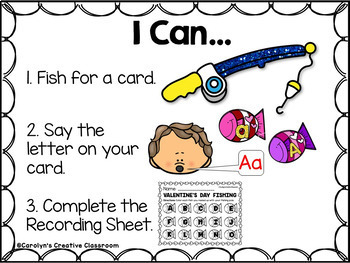 The cards are differentiated so you could baggy them up and have them used based on your student's learning needs. I put a sticker on the back with the correct answer so this center is self correcting! - Letter Sounds (You could do beginning, middle, or ending sounds) I have recording sheet for only beginning sounds. Want to see how I made it? Want to know where I bought the poles? Visit www.carolynscreativeclassroom.com and read my blog post!